Polling of Assembly Polls in Telangana happens on December 7th (Friday). Political Parties & MLA Candidates are now feeling the pressure of four days Holidays (Thursday, Friday, Saturday, Sunday). Most of the settlers in Hyderabad hail from Seemandhra. Whenever there are more than 2 days holidays, Settlers prefer spending time in their native places. And now, The 4-days break is very tempting. Particularly, MLA Candidates of People's Alliance are worried about the holidays. 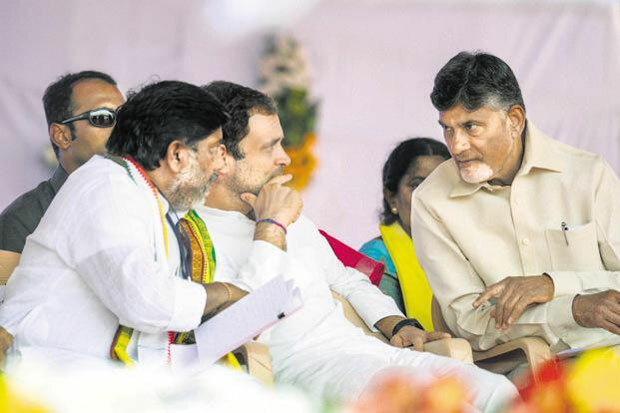 Why because, GHMC region is known to be the strong hold Congress and TDP. This is where they won most seats in 2014 Elections as well. Voting Percentage could drop in Hyderabad if the Settlers leave to their native places. Any such situation will eventually benefit TRS which got strengthened in this region post 2014 Polls. Most Settlers voted for TRS in the GHMC Elections and poll prospects of People's Alliance deteriorate further if they lose the support of Kamma/Reddy Voters as well because of these unavoidable holidays.